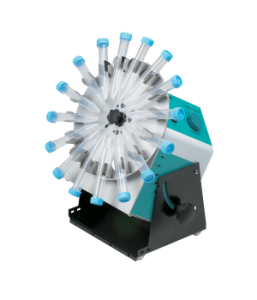 The stainless steel tube carrier subjects up to 24 samples to an optimized, high speed, 3D motion, producing high energy impacts between the samples and micro-beads to release cellular contents. 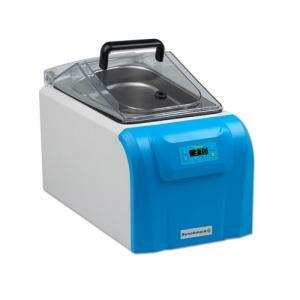 After homogenization, samples can be centrifuged and the supernatant collected for further processing. Operating parameters for the BeadBlaster 24 are set and displayed digitally. 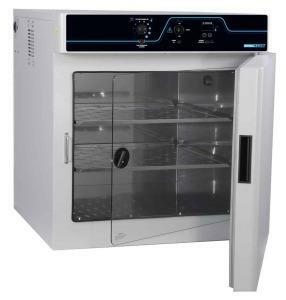 To protect fragile, heat sensitive samples, the unit can be programmed t operate in shortened consecutive cycles with a rest period in between. Up to 50 such programs can be stored in memory and recalled for future use. 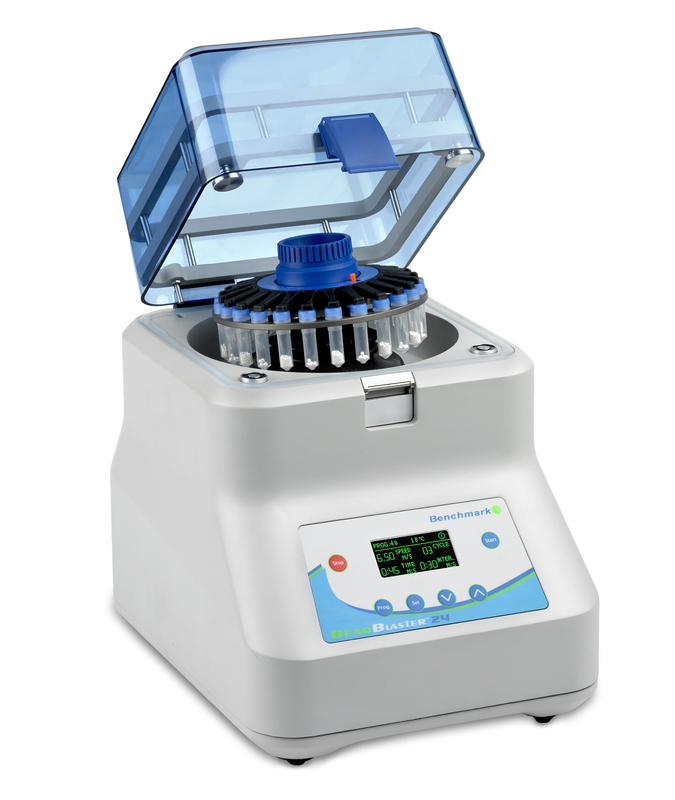 A transparent lid allows for visualization of samples, and features a mechanical lid lock that prevents opening owhen the BeadBlaster is in operation. A brushless motor reduces motor noise and provides maintenance free operation. Benchmark offers an assortment of prefilled tube kits for a variety of sample types. The popular Triple-Pure™ kits include acid washed, heat treated, zirconium beads. The beads are tested to be free of nucleases, making them ideal for molecular biology applications. 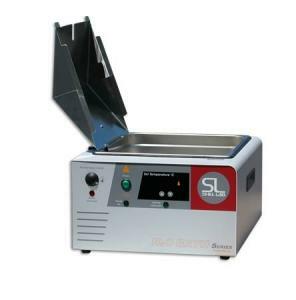 A convenient starter kit (D1032-SK) is available to accommodate a broad range of sample types and optimize applications. <2 sec. / <2 sec. 11 x 14.2 x 15.2 in.